Like ginger, turmeric is used for both cooking and medicine. 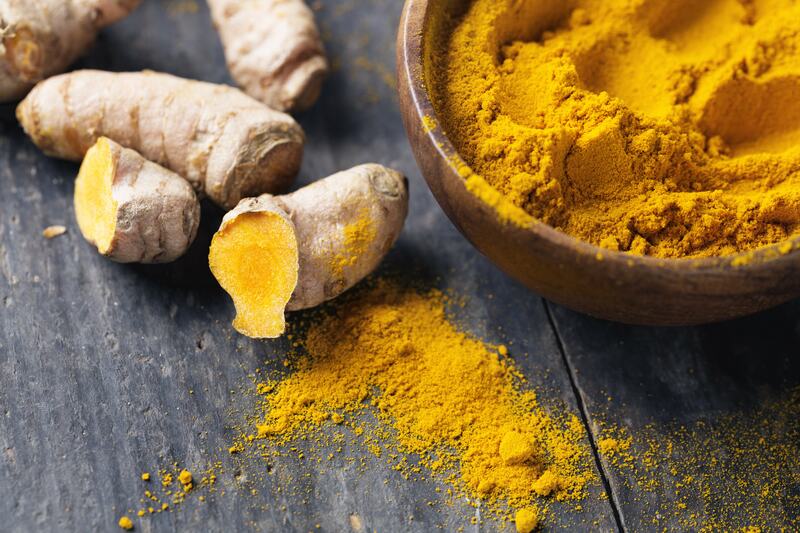 Check out our 5 top health benefits of including turmeric in your diet. The National Cancer Institute has recognized curcumin as an effective anticarcinogen – a substance that helps prevent cancer. It has been studied as a beneficial herb in cancer treatment and been found to affect cancer growth, development and spread at the molecular level. Turmeric has many medicinal properties, including antioxidant and anti-inflammatory effects due to its main active ingredient, curcumin. Curcumin is so powerfully anti-inflammatory that it matches the effectiveness of some anti-inflammatory drugs, without the nasty side effects. In a 30-day study in 44 men with lesions in the colon that can turn cancerous, 4 grams of curcumin per day reduced the number of lesions by 40%. According to the Alzheimer’s Society, Alzheimer's disease is the most common neurodegenerative disease in the world and a leading cause of dementia. Unfortunately, no real treatment is available for Alzheimer's at present. Therefore, preventing it from occurring in the first place is vital. Turmeric is widely used in cooking in India and the country’s low rate of Alzheimer’s disease and other types of dementia has long intrigued researchers on the topic. Lab studies show that curcumin (found in turmeric) is capable of crossing the blood-brain barrier and inhibiting the growth of beta-amyloid, an abnormal protein that develops in the brains of Alzheimer’s sufferers. Inflammation and oxidative damage play a part in Alzheimer's disease, and curcumin has beneficial effects on both. Another key feature of Alzheimer's disease is a build-up of protein tangles called amyloid plaques. Studies show that curcumin can help to clear these plaques. It is important to note that a study on patients who had already been diagnosed with Alzheimer’s showed that curcumin supplements did not help reverse the symptoms. Whether curcumin can really slow down or even reverse the progression of Alzheimer's disease in people who have already been diagnosed is currently unknown and needs to be studied further. Turmeric has been shown to protect the liver, relieve indigestion, and help prevent ulcers. Absorbing turmeric into the system can be difficult, so be sure to talk to your GP for guidance. Look for high-quality supplements that can be easily absorbed. Pregnant women and sufferers of gallstones or bile duct obstruction should not take concentrated turmeric products. However, the cooking spice is safe, so feel free to use it in your favourite dishes. Oxidative damage - believed to be one of the mechanisms behind aging and many diseases – involves free radicals. Free radicals are highly reactive molecules with unpaired electrons. Free radicals tend to react with important organic substances, such as fatty acids, proteins or DNA. The main reason antioxidants are so beneficial is that they protect your body from free radicals. Curcumin is a potent antioxidant that can neutralize free radicals due to its chemical structure. In addition, curcumin boosts the activity of your body's own antioxidant enzymes. Turmeric’s strong anti-inflammatory properties can help ease inflammation and swelling in people with arthritis, which reduces painful symptoms. The best curcumin supplements contain piperine, substantially increasing their effectiveness and enhancing absorption. Turmeric’s main active ingredient, curcumin – because it is a powerful anti-inflammatory - is great for sufferers of osteoarthritis, the wear-and-tear kind that long-term athletes can develop. Pop into your local CarePlus Pharmacy and ask one of our friendly pharmacists about Seven Seas JointCare supplement with Turmeric extract.